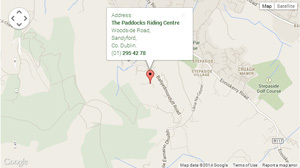 Gallery - Horse Riding Centre Dublin, riding lessons, livery, horses riding school, stables, pony trekking, equestrian centre, Dublin Mountains, Wicklow, Ireland. The Paddocks is closed on Easter Sunday April 21st 2019. Private and group treks available every day. Private and group lessons available every day. Please call 0872237981 for details. Full livery and half livery packages available on a wide range of horses and ponies.